Preheat oven to 350°F. Spray muffin tins with baking spray. Make 24 cupcakes according to package directions. Let cool 5 minutes. In a medium bowl, gently fold together 2 cups Reddi-wip and vanilla pudding. Place mixture into piping bag with tip and pipe mixture evenly into the bottom of each cupcake. Place remaining 2 cups Reddi-wip in another medium bowl. Microwave 30 seconds. Stir in morsels until ganache is smooth. 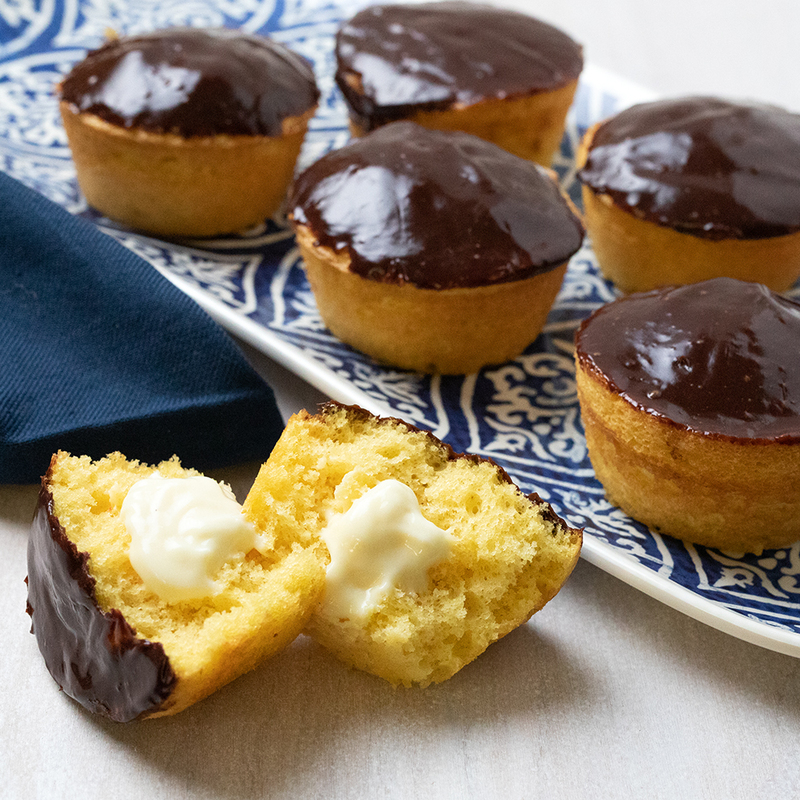 Dip the top of cupcakes into ganache. Refrigerate 5 minutes until chocolate sets.